When Gordon Strachan took over as Celtic manager in the summer 0f 2005, there was no doubt that he would stamp his authority over team matters by getting rid of some of Martin O’Neill’s old guard. First to go was the flying wide man Didier Agathe followed by, more acrimoniously at the end of 2005, Chris Sutton. 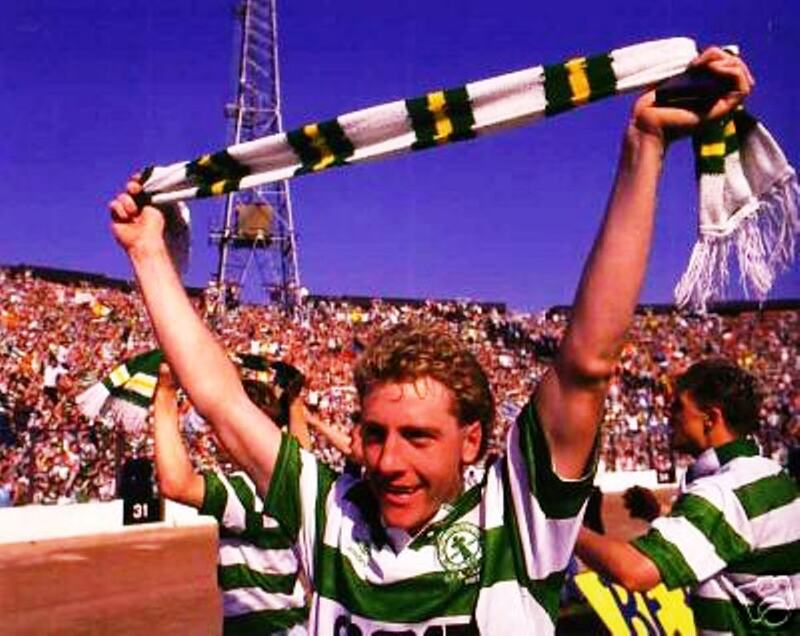 Sutton was a real Celtic hero, hugely respected by the Celtic supporters, and would be a huge act to follow. John Hartson and Macej Zurawski were the current Celtic strike partnership at that time but Strachan realised he needed cover in the forward area, and in January 2006 he brought Dion Dublin to Parkhead. 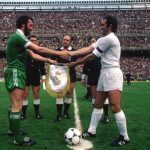 Dublin was 36 and had enormous experience of playing in England with Manchester United, Coventry, Aston Villa and Leicester and was out of contract. Strachan knew him well from their days at Coventry and he was seen as the ideal replacement for Sutton. He was not viewed as a long term prospect at his age but very much a short term solution to provide cover as a target man in attack. Dublin’s arrival had been overshadowed by that of Roy Keane. Keane was arguably the biggest name in British football but was another who was in the twilight of his career when he joined Celtic from Manchester United after being released. On 8th February 2006, Dion Dublin made his Celtic debut against Falkirk at Celtic Park on the night best remembered for Keane scoring his only goal in the hoops, in a 2-1 win. Celtic were on a fine run of form at this time with new signings, Artur Boruc, Shunske Nakamura and Zurawski, very much to the fore. The 1-0 win over Rangers at Ibrox in mid February all but guaranteed the title for Celtic with Dion coming on for the last 15 minutes to have the pleasure of enjoying the unique experience of the big Glasgow derby. In March, Dion came on for the injured Keane in the League Cup final against Dunfermline Athletic at Hampden. 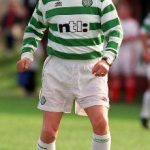 As a club Celtic were still grieving after the sad passing of Jimmy Johnstone and every Celtic player was allowed to wear the number 7 shorts in tribute to the great man. 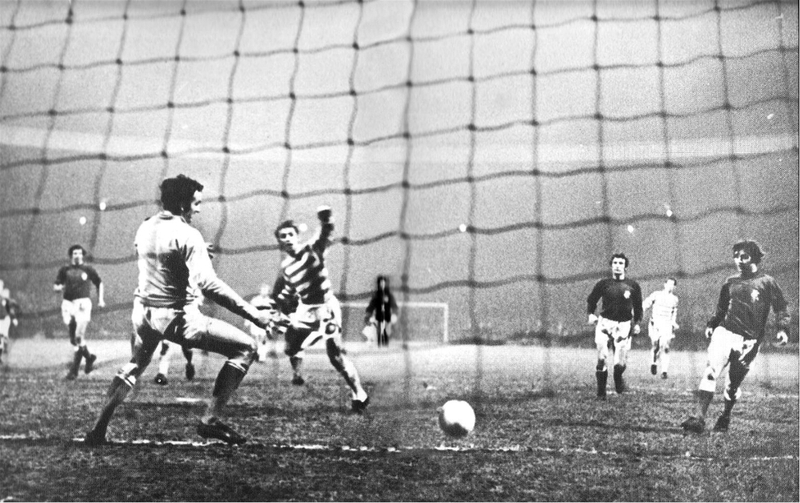 Celtic were cruising at 2-0, and Dion had already missed a couple of chances, before he converted a Paul Telfer cross with seconds remaining to make the score 3-0 and thus grab his first Celtic goal. It was only a matter of time before Celtic wrapped up the title and they did so on 5th April 2006 when they beat Hearts 1-0 at Parkhead. Dion was used to coming on as a substitute and he replaced John Hartson, who had scored the game’s only goal, and could be seen joining in the celebrations at full time on a bitterly cold, early spring evening. 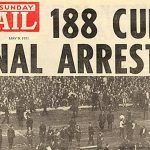 This was the earliest Celtic had won a league title since 1970 when Jock Stein’s side had won it on 28th March. With the league now won, Dion was given a few more starts and was in the team which controversially lost 3-0 to Hearts at Tynecastle, a result which helped to edge Hearts into second place at the expense of Rangers and thus deny the Ibrox club a potential Champions League place. Dion’s last game appearance as a Celt was during Alan Shearer’s testimonial at St James’ Park, another controversial event in which both teams contrived to allow the egotistical Shearer to score a last minute winner from a penalty kick. At the end of his contract Dion moved to Norwich and he played a further 80 games before retiring, showing that he had a bit more football in him had Celtic actually decided to retain his services. Dion Dublin was only a Celtic player for a mere six months yet managed to win a League winners medal and a League Cup winners medal which was terrific work for such a short period. 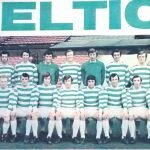 He had justified Gordon Strachan’s faith in him and is said to have loved his time at Celtic Park playing in front of around 60,000 fans each week. These days Celtic fans are amused to see Dion on television in the programme, Homes Under the Hammer. Celtic Park may only have been Dion’s home for a short while but he certainly made the most of his opportunity.